Nice gift idea for the western admirer. 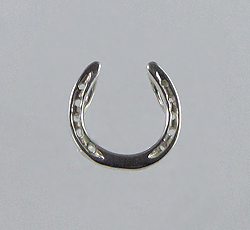 Enjoy this sterling silver horseshoe slide pendant, offering great three dimensional features. Complete with two bails for great upright display on any necklace.